If you write a lot, Ulysses keywords are an excellent tool to organize your texts. The Sweet Setup have published a new video course. For launch week, you can save 20%. Until a couple of years ago, Shawn Blanc had no system for his ideas, notes, and writing. Everything scattered over various apps, pieces of paper, and notebooks – it was frustrating and inefficient. But then he started using Ulysses and turned the app into his central spot for all of his writing. And it turned out that this was very conducive to his productivity and focus. Shawn runs The Sweet Setup, a website dedicated to in-depth app reviews and trainings aiming to help people become more productive. 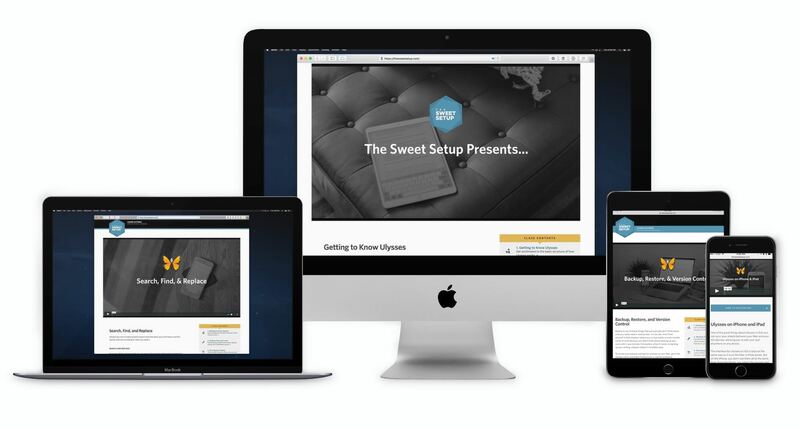 This week, The Sweet Setup have launched their wholly revised and extended “Learn Ulysses” course. The course is aimed at beginners and advanced users alike and comprises more than 30 videos. It covers Ulysses’ features into great detail, introduces concrete workflows and shows how to use the app effectively in conjunction with other apps. Furthermore, Shawn shares a number of strategies to become a better writer. “Learn Ulysses” costs $57, owners of the old, less extensive course will receive a discount. What’s more, you can save 20% with launch week pricing, which is available until March 29, 2019. You’ll find detailed information about “Learn Ulysses” by The Sweet Setup here.